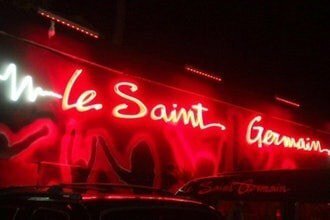 The Saint-Germain embodies the meeting between an African box and a western-style nightclub. The spacious and well-appointed rooms include a dance floor, a large bar, a billiard room, lounge areas including two VIP lounges, and an all-night restaurant. Real institution of the Ivorian night and stopover forced by any self-respecting lifter, this often crowded night club welcomes an eclectic crowd coming from the four corners of the city and even local and international stars come sometimes to make a tour or the show for special evenings. With a predator rather than a good-natured atmosphere, Le Saint Germain is the must-see place for "nighteux" and other "pros" in Zone 4.